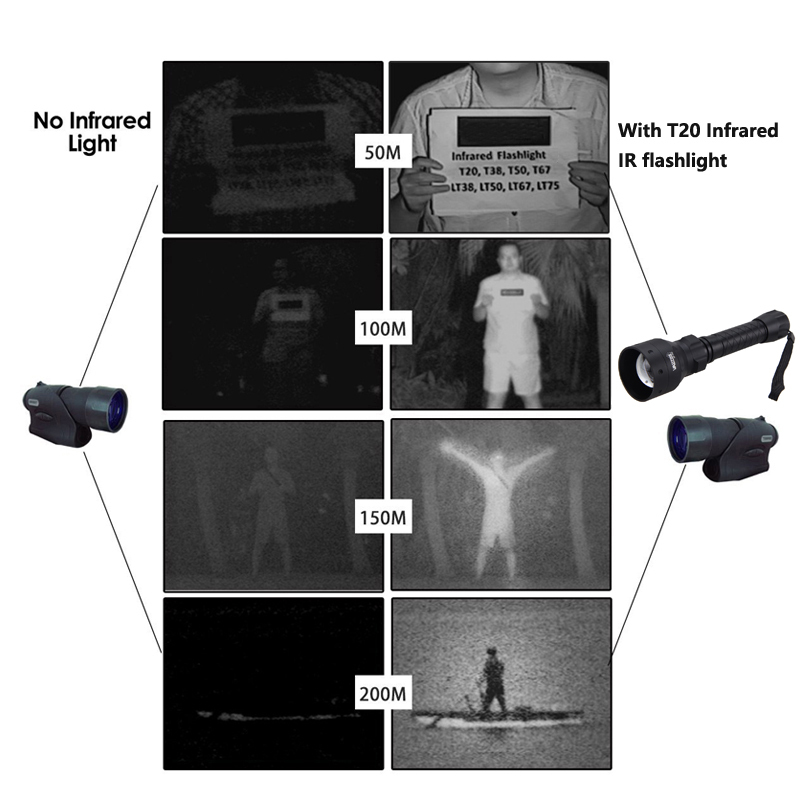 Note：The IR light is is Invisible to Human Eyes. When the light is turned on, it only has a weak red light from the led. 2.Designed with an easy change LED head, you can have multiple colour LED inserts for your ir and change them in the field if you decide to use another colour, or change your quarry. 3.Fitted with the top of the range 850nm black IR LED, a 1-mode memory driver and the focusable head, you can always achieve perfect illumination levels with minimal fuss. 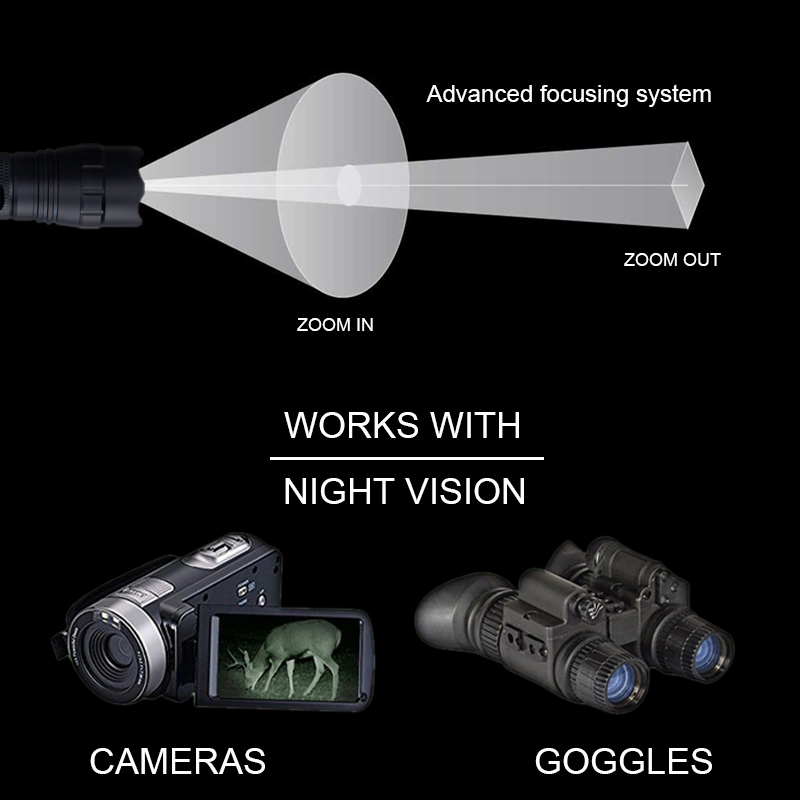 Invisible to the human (and animal) eye, you will be completely stealthy when used with a digital night vision system. RECHARGEABLE 3.7 V 18650 2400mAh li-ion Battery. No memory effect, recharge up to 1800 cycles. 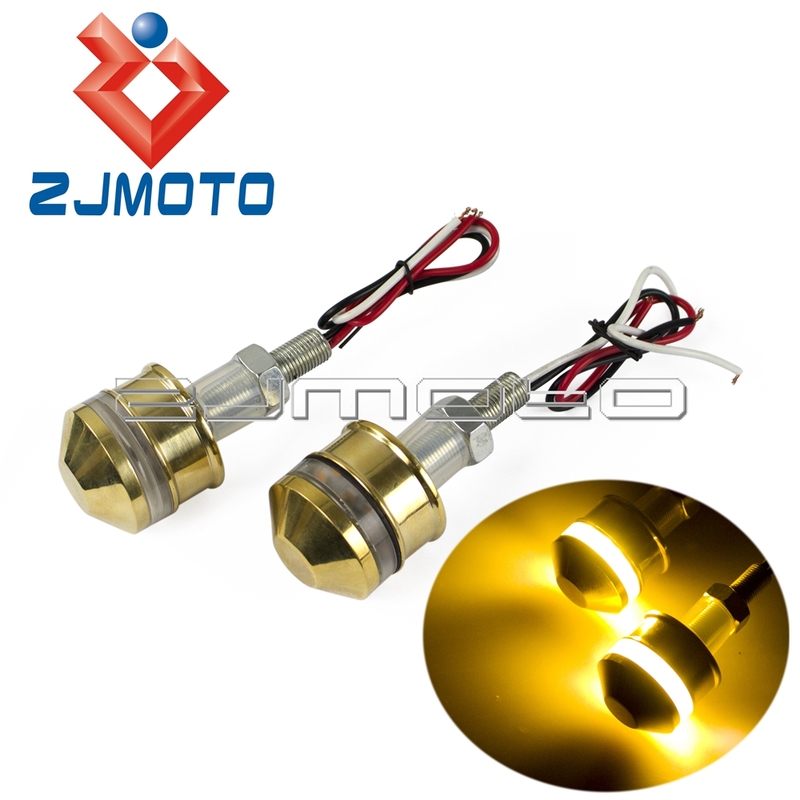 Manufactured by high power capacity products and Environmentally friendly. Perfect for Flashlight, Photo camera. Battery Dimension: 65mm(height) x 18mm (diameter). 6. If you have not received your shipment within 45 days from sending, please contact us. We will track the shipment and get back to you as soon as possible with a reply. Our goal is customers\' satisfaction!